Yes. That preview photo is a marshmallow being dipped in melted butter. It’s the beginning of another way we reinforce the meaning of Easter. With Resurrection Rolls. 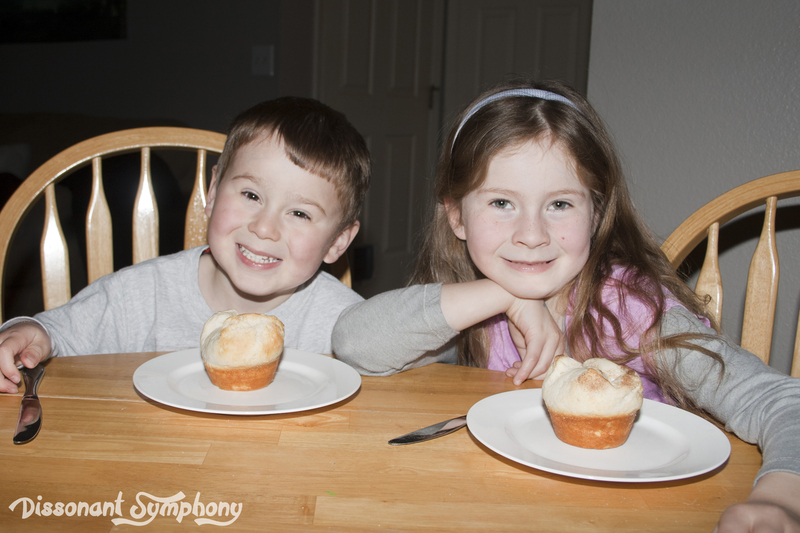 They require just a few simple ingredients, and kids can easily assemble them. You’ll need marshmallows, a tube of biscuit dough, melted butter and some cinnamon/sugar. 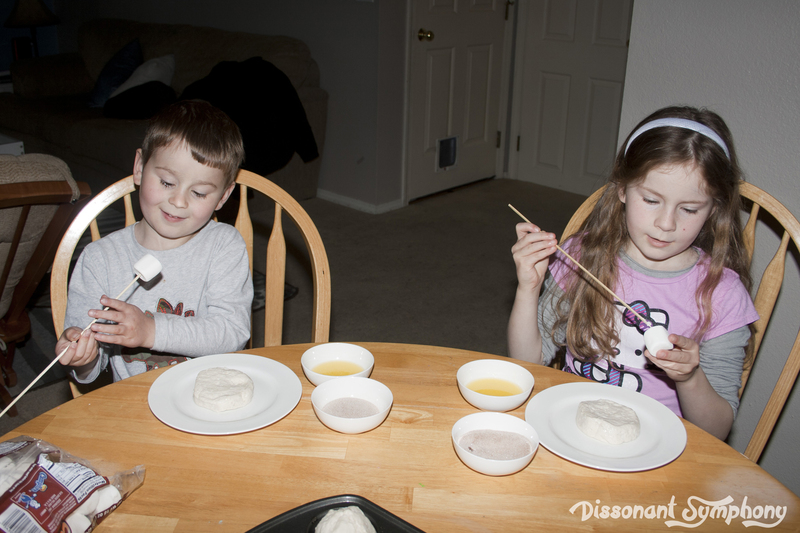 Each child takes one marshmallow which represents Jesus. White represents that he was pure and without sin. Pierce the marshmallow with a long skewer. This represents that Jesus was pierced for our transgressions and gave up his life on the cross for our sins. 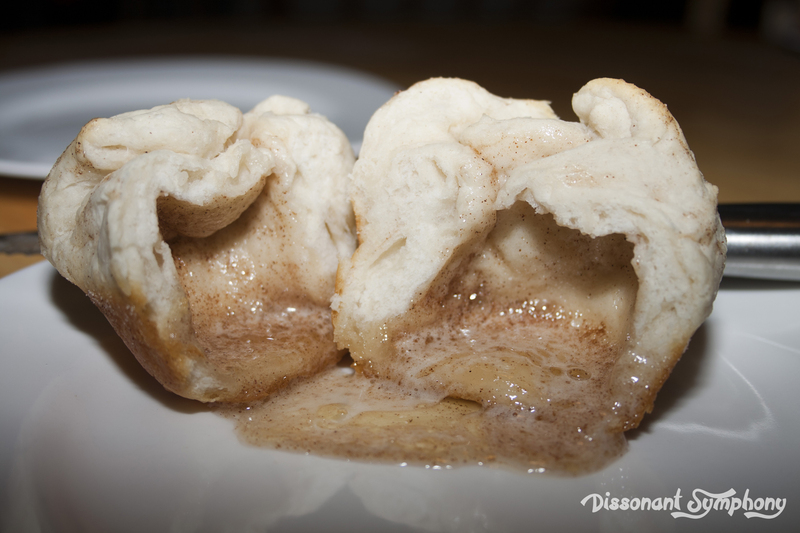 Dip the marshmallow in the butter and roll in cinnamon and sugar mixture. This represents the oils and spices the body was anointed with upon burial. Give each child one biscuit and have them flatten it into a larger circle. 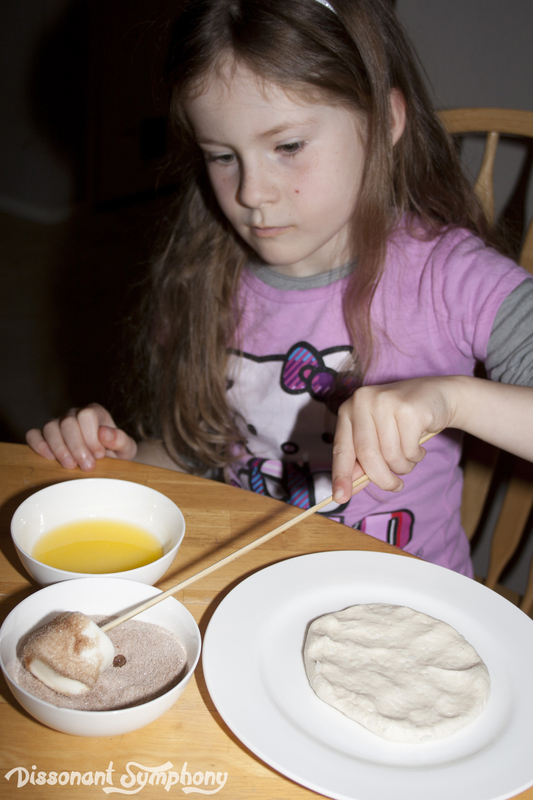 Lay the marshmallow on the dough and carefully wrap it around the marshmallow. Make sure all seams are pinched together well. This is the wrapping of Jesus body in linen cloths. 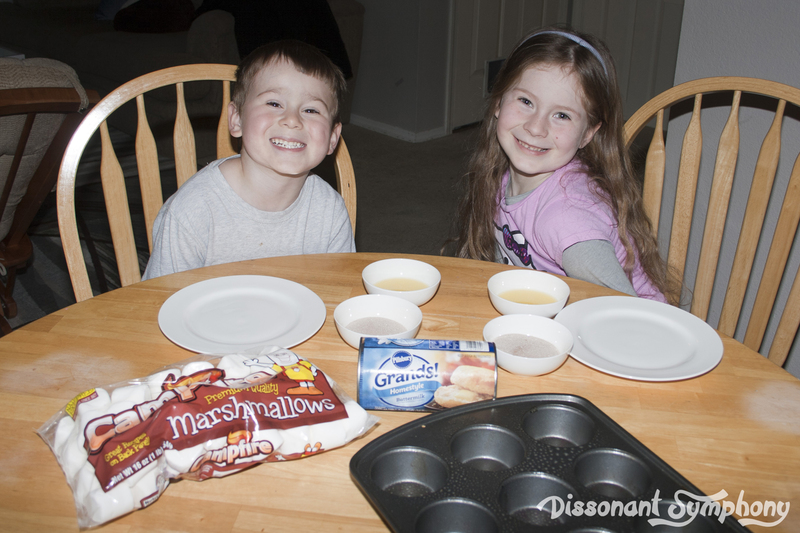 Place each wrapped marshmallow into the well of a muffin tin. This represents placing the body into the tomb. Place muffin tin in the oven and close the door. This represents the large stone being placed over the tomb. Bake according to package directions. This represents the three days Christ was in the tomb. Explain that when the disciples went to the tomb on the morning of the third day, the stone was rolled away (open oven), they saw the burial clothes still inside (you can still see the roll), but when they looked (break open the roll – once cool enough to touch), the body of Christ is no longer there!! Oh my kids. Clearly the girl has more acting chops than the little man. I’m not sure what his face is — but it looks more like he’s about to sneeze than surprised amazement. 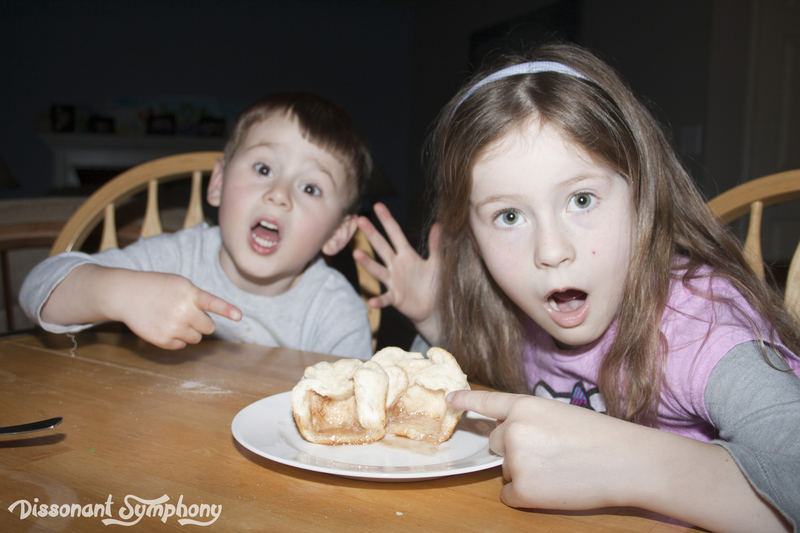 Enjoy using these rolls as a teaching tool, and a delicious little treat!